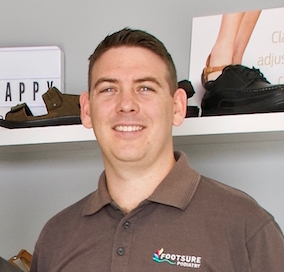 Podiatrist Ben Kennedy graduated from Charles Sturt University in 2006 and has been working on the Sunshine Coast for a number of years. Ben’s experience includes working in Private Practice and a specialist diabetes clinic in a Victorian Hospital. Ben is a current member of the Australian Podiatry Association. 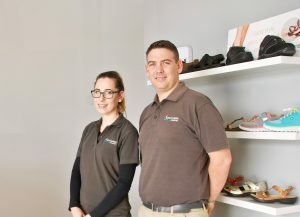 Ben enjoys all aspects of Podiatry from children’s feet and developmental issues through to seniors who are having difficulty caring for their feet. Particular areas of experience and interest include diabetic foot assessments and management, sports injuries and heel pain. Ben places a large emphasis on patient education, empowering you to make the appropriate choices for prevention and management of your foot condition. In his spare time Ben enjoys playing Australian rules football, cricket and fishing. Tony is originally from Brisbane and graduated with a Bachelor of Podiatry from QUT. Tony has completed placements at clinics around Brisbane as well as the Royal Brisbane and Women’s Hospital. Tony is currently a member of the Australian Podiatry Association. Tony is interested in most aspects of Podiatry. Areas of interest include providing general nail and skin care, diabetic foot assessments and management and sports injuries. 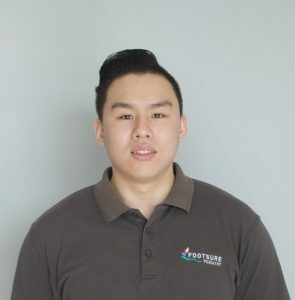 He endeavours to continually learn and develop his skills and knowledge in the podiatry profession by attending additional courses or workshops such as foot mobilisation and dry needling to provide his patients’ the best outcome. In his spare time Tony enjoys watching and playing basketball, tennis and going to the gym.